Buddhist activism has been a subject of considerable discussion among academics, policy makers, and practitioners in recent years. 1 Buddhist activists, consist of both the Sangha and laity, have sought to promote social justice, campaign for political reforms, propagate environmentalism, and defend their faith against threats and heterodox teachings. In the Southeast Asian context, Buddhist activism conjures the images of Ghosananda and Thich Nhat Hanh’s peace activism, Sulak Sivaraksa’s political and social activism, and of course, the Saffron Revolution that took place in Burma in 2007. However, such activities are not peculiar to the Buddhist majority states of mainland Southeast Asia. The Buddhist communities in maritime Southeast Asia have also had their fair share of activism. Mention maritime Southeast Asia and what comes to mind is often the Islamic Malay world that includes present-day Brunei, Indonesia and Malaysia, as well as the Catholic Philippines. Singapore stands out as an anomaly because of its dominant Chinese population (about 75 percent), and less known to many, a majority Buddhist population. According to the Singapore census of population of 2010, 33.3 percent of Singaporeans have affiliated themselves with the Buddhist faith. 2 My recent research has focused on Buddhist activism in post-colonial Singapore. My studies have shown that unlike Buddhist activists in mainland Southeast Asia, Buddhist activists in Singapore are less concerned with political reforms, environmentalism, or world peace. Rather, Singaporean Buddhist activists are involved with defending Buddhism against misrepresentations and “heterodoxy,” and promoting social welfare activities. 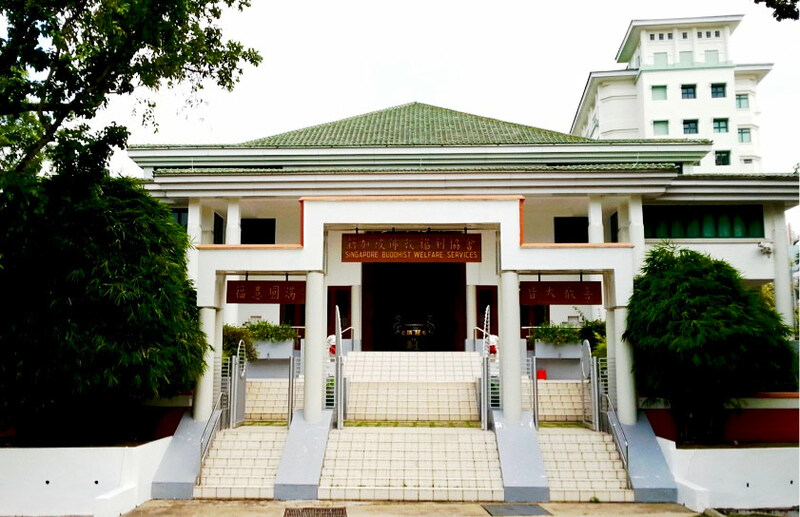 The Singapore Buddhist Federation (SBF, Xinjiapo fojiao zonghui 新加坡佛教總會), a national umbrella institution to represent the Buddhist community, was established in 1949 to serve as a bridge between the British colonial authorities and the various Buddhist organizations in the country. 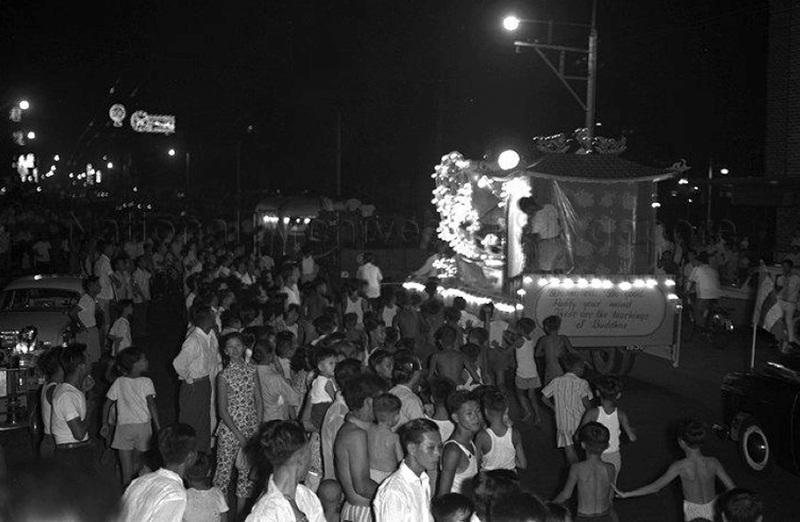 Since the founding, the SBF played a proactive role in promoting the interests of the Buddhist community and played a significant role in lobbying the colonial government for Vesak to be gazetted as a public holiday in 1955. 3 The SBF also lobbied to the colonial government for approval to set up Buddhist cemeteries. In September 1955 and February 1959, respectively, the SBF petitioned the authorities to establish a Buddhist cemetery and to grant permit to construct bridges, drains, roads, a Buddhist shrine, and a dining hall around the vicinity. 4 SBF-led activism in the early years of its establishment was mainly confined to serve the pragmatic and tangible interests of the Buddhist community. Noticeably, the SBF was more interested to persuade the government to assent to their requests rather than to rally Buddhists to defend their faith and correct religious misrepresentations or misguided practices. When the Chinese Civil War broke out, Yen Pei and Yinshun left mainland China for Hong Kong in 1949 and then moved to Taiwan in the early 1950s. Eventually, Yen Pei decided to migrate to Singapore in 1963 and became the abbot of Leng Foong Prajna Auditorium (Lingfeng bore jiangtang 靈峰般若講堂). After settling in Singapore, Yen Pei became an active Dharma teacher and promoter of “Humanistic Buddhism.” 16 By the time he stepped down as the abbot of Leng Foong Prajna Auditorium in 1979, he saw the need for Buddhists to be socially engaged and to give back to society. 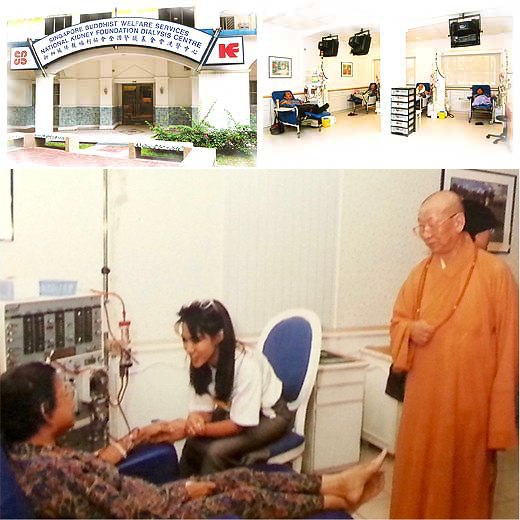 Yen Pei found a new calling to help the poor and needy, and therefore decided to establish the Singapore Buddhist Welfare Services (SBWS, Xinjiapo fojiao fuli xiehui 新加坡佛教福利協會) in 1981. 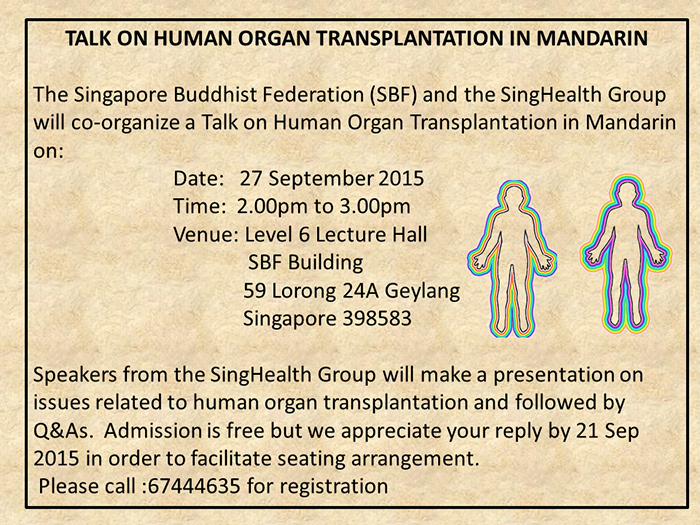 An event co-organized by the SBF to inform the public on the issues of organ transplants. Source: Xinlu 心路 (Singapore: Buddhist Cultural Center, 1997), 97. Unlike Buddhist activism in other parts of Southeast Asia, Buddhist activists in Singapore did not lobby the government for political reforms, protest for social change, or promote environmentalism. Since the strict laws in Singapore prohibit religious and civil society groups from organizing street protests and demonstrations, Buddhist activists were careful not to get on the wrong side of the law and antagonize the state authorities. Instead, they lobbied and petitioned the state agencies to protect their religious interests and often, in their own words, to preserve the dignity and reputation of Buddhism. Yen Pei appeared quite happy to collaborate with the state authorities. He was a pioneer member and Buddhist representative of the Singapore Presidential Council for Religious Harmony and often invited government ministers to officiate the opening ceremonies of his social welfare organizations. Therefore, it was no surprise that Yen Pei’s contributions to social activism was recognized and honored by the Singapore government.Yen Pei received the Public Service Medal (PBM) in 1986 and the Public Service Star (BBM) in 1992 from the Singapore President. Xinlu 心路 (Singapore: Buddhist Cultural Center, 1997), 82-83. 25 A study of Buddhist activism in Singapore offers an interesting insight into state-society relations. Rather than engaging in militant confrontation with the government or risk antagonizing the authorities by organizing public demonstrations, Buddhist activists adopted firm but peaceful measures to achieve their objectives. Thus, it appears that Buddhist activists co-opted the state to do its bidding, rather than vice versa. Concomitantly, Buddhist activists relied on their knowledge and understanding of the Buddhist teachings to attack “heterodox” groups, as well as to justify their social welfare activism. Yen Pei was quick to use Buddhist ideas of compassion, loving-kindness, and the precept of not taking intoxicants as practical solutions to secular social issues, including elderly care, organ donation and transplant, and drug rehabilitation. The ideas of Humanistic Buddhism that center on putting one’s faith into action for the betterment of humanity were probably an important source of motivation for Yen Pei as well as other socially engaged Buddhists in Singapore. At a spiritual level, proponents of Humanistic Buddhism believe that enlightenment can be achieved in this world, and therefore, strive to build a pure land on earth. One of the ways to construct a this-worldly pure land is to be an active citizen in addressing and contributing to contemporary issues. This paper is based on the authors forthcoming articles, “Defending the Dharma: Buddhist Activism in a Global City-State,” in Singapore: State and Society, 1965-2015, ed. Jason Lim and Terence Lee (London: Routledge, forthcoming 2016) and “Toward a History of Engaged Buddhism in Singapore,” forthcoming 2016. 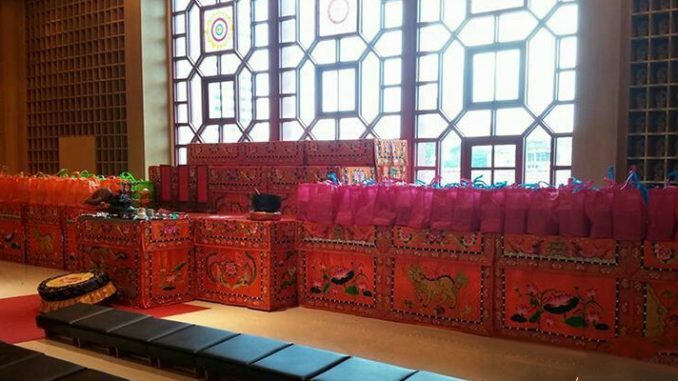 Why are monks in Singapore charging such high fees for a wake chant? Prices range from a thousand to a few thousand dollars. When recommend by funeral directors, the price is even higher, another thousand. But recently I attended a wake and the family told me this monk charged only 350 dollars. Why the huge difference in price?